I love this time of year. I live on the west coast, and not only is there no snow, all my spring flowers are coming out, and the daffodils are everywhere. 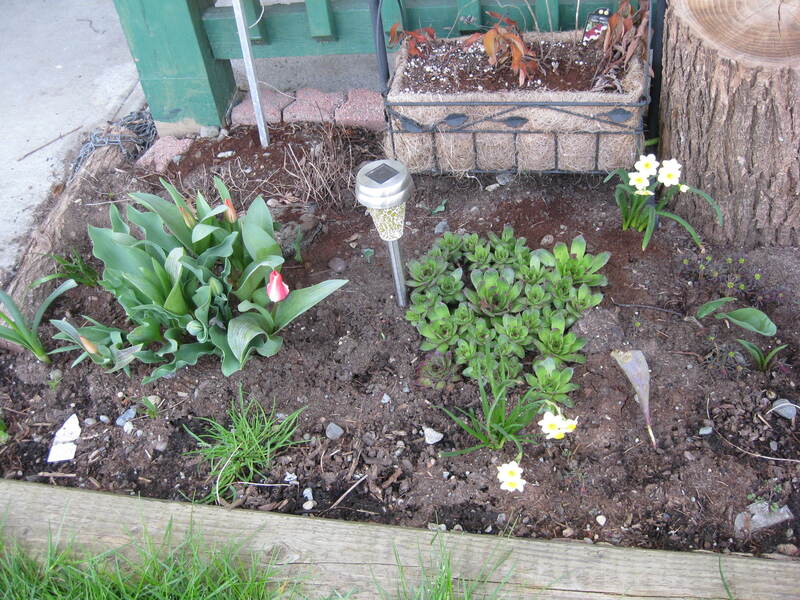 In fact, last year I planted daffodil bulbs in my flower garden, and I was very excited to see them come up. Except, I’d forgotten exactly what I’d planted. They are a type I’ve never seen before and it caught me off guard. They’re still pretty, but they’re not what I expected. How many times does life catch us off guard like that? Back to spring. I love Spring. Oops, I might have already said that. I am going to go off the topic of love and romance, and ask everyone about… daffodils! If you like daffodils, say so. and tell everyone which is your favorite variety. What do daffodils have to do with romance? Well, I have connected the two, in a very unconvential way. In the book I’m currently working on, there is a Daffodil, but… it’s not a flower. Daffodil is… Okay, I’m not telling. For those of you who have read any of my past books, I often add strange little details, often for pets. If you have have read my last book The Path To Piney Meadows, you will know what unique pets the hero of the story owned. My current book, which actually is coming out for Christmas 2014, also has a hero with a unique pet. Named Daffodil. It’s a fitting name, at least I think so. Tell me, what kind of animal is Daffodil? Gail Sattler is the award winning author of over 30 novels and novellas, with more coming! Gail lives in Vancouver, BC where you don't have to shovel rain, with her husband, 3 sons, 2 dogs, and a lizard who is quite cuddly for a reptile. Besides being a writer, Gail plays bass for a local jazz band, and acoustic bass for a community orchestra. When she's not writing or making music, Gail likes to sit back with a hot coffee to enjoy a book written by someone else. Daffodil sounds like something I’d name a bearded dragon – lol. I was driving through North Carolina and Virginia a few weeks ago. The side of the interstates are lined with daffodil gardens – so beautiful and so encouraging after this LOOOONG winter many of us have had! Gail, Daffodil sounds like a name I would give to an exotic animal, maybe a parrot or lemur. The green parts of my irises are up, but I’m still waiting on the beautiful blooms. Maybe another few weeks until they spring up. I don’t have irises. I have daffodils and tulips as my spring flowers. My mom really likes the tulips we have in our side yard. The winter storms have hampered their growth this year, though. Enjoy your daffodils and tulips. I’m sure they’re gorgeous right now! Daffodil sounds like a pot bellied pig. Have no idea why but that just came to me. I love daffodils. Don’t know the different names but love the ones that are a bright yellow color. I love daffodils since they bring color to our area since our trees are still bear. They are our first sign that spring has sprung. Just read what I wrote. I know better…bear should be bare! haha. bear. The bears are coming out of hibernation, I don’t want to see those. I just want to see the daffodils!